Count berberine among the few compounds with antibacterial properties that offer an effective alternative to antibiotic medicines that are losing ground in the ongoing battle against “superbugs.” It gets even better, though. Berberine’s other pharmacological effects includes blood glucose-lowering capabilities that make it useful in helping to treat diabetics. Berberine is a natural alkaloid, which puts it in a class of organic compounds that have their origins in plants. It contains primarily nitrogen atoms that have been shown to have significant physiological actions on humans, per draxe.com. It’s not like this is a recent discovery, though. Using berberine for medicinal purposes is a practice that dates back thousands of years to China and India, where it has been part of traditional Chinese and Ayurvedic medicines. Numerous studies have shown that the use of berberine has been able to improve disorders that involve glucose and lipid metabolism. 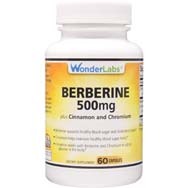 One of the more noteworthy of those studies was one in which volunteers were 500 milligrams of berberine two or three times a day for three months while a control group took the well-known diabetes drug metformin. 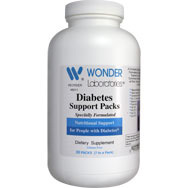 The natural alkaloid could control blood sugar and lipid metabolism as well as metformin did. Likewise, once integrated into our body’s cells, berberine goes to work reducing blood-sugar levels, particularly in people suffering from type 2 diabetes. This is good because elevated blood-sugar levels, left untreated, can over time be destructive to our tissues and organs, setting in motion various health problems and, ultimately, possibly an early grave. 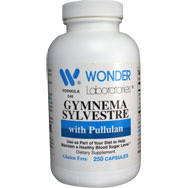 Reduces the liver’s manufacture of glucose. Berberine, according to the International Journal of Endocrinology, also provides other pharmacological effects such as the promotion of insulin secretion, stimulation of glycolysis in peripheral tissue cells, and reduction of glucose absorption into the intestines. That’s the assessment of the National Institutes of Health (NIH), as described in its abstract entitled “Efficacy of Berberine in Patients with Type 2 Diabetes.” Treatment of this disease is limited by the availability of effective medications, which is why a compound such as berberine offers so much help in the world of medical science. New oral medications are needed, the NIH says, and botanical products such as berberine are regarded as safe alternatives. One thing that sets berberine apart from other plant-based products is that it is a single purified compound, which makes it easier to control than other botanical products that are actually a mix of multiple compounds. 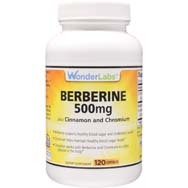 Mendosa.com goes as far as to call berberine a “diabetes drug in disguise.” Whether that statement would hold up in a court of medical opinion is debatable, but in the court of professional opinion across the board, berberine outpoints other natural compounds (bitter melon and gymnema sylvestre) cited by diabetics as also being useful in managing their blood glucose. At least berberine gets the most mentions. Per mendosa.com, the U.S. National Library of Medicine indexes about 4,000 studies in professional journals that mention berberine (although, granted, those mentions are related to other health subjects as well that involved berberine), compared to about 800 referenced studies for bitter melon and roughly 200 for gymnema sylvestre. Looks like berberine takes the cake for (and from) diabetics.